The Google+ gods are listening, and they have given us searchable hashtags. … Sort of. While surfing my merry little workaholic way through my main Google+ stream this evening, I noticed a post from Natalie Villalobos, Community Manager at Google+, pointing towards a hash tagged search on the platform. I did a double-take, of course, as just this past weekend, I wrote a rather lengthy post suggesting how beneficial searchable Google+ hashtags would be on the platform, supporting it with comments and insight from the G+ community itself. The article appeared popular among Google+ users and sparked several interesting discussions in both the post’s comments, as well as across the G+ service. Great timing, right? For clarification, hash tagging any keyword will bring it up in in search alongside regular keyword searches. The strange thing is that hash tagged keywords are not pulled up separately from non-hashtagged keywords, and the two are mixed in together. Including hashtags in search is definitely a step in the right direction, but not quite hitting the mark I’d originally hoped. Typing in any keyword, hash tagged or not, into the Google+ search bar will bring up any conversation on G+ relevant to the keyword. This includes People, actual G+ posts, and even Google+ Sparks posts related to the search. 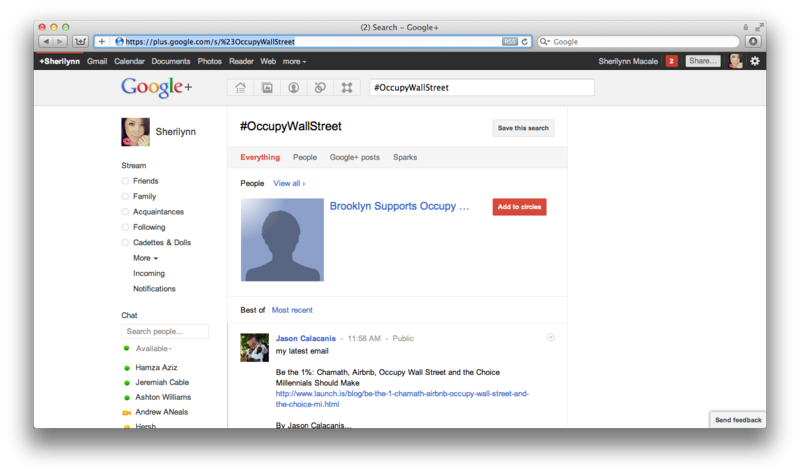 Again, this works for any keyword, not just #OccupyWallStreet, of course. Your hash tagged or regular keyword search will default to the “Everything” tab, where all content surrounding the topic can be seen. You can also sort the search according to “Best of” — which shows you the most popular and engaged content related to these keywords — or even “Most Recent”, to bring you all related news by time and date. Whether Google+ has had hash tagged keyword searching in the works for a while, or whether it’s simply reacting to the popular demands of its current user base, we’ll never know — though I will certainly reach out for comment, of course. Regardless, it’s exciting to see Google+ moving forward with this feature. The resulting search page appears to be fully-featured and well-rounded just like other features on the platform, even if it does fall short of where some G+ users want hashtags to be. Am I disappointed that Google+ hasn’t invented its own Twitter-esque hashtag? Definitely not. Being an obvious social media geek, I want to see the young platform succeed, so it only makes sense that it would take advantage of an already-popular search hack like the well-known Twitter hashtag. An equally awesome update would be for hash tagged keywords to be clickable and automatically lead to the more robust Google+ search page. And to reiterate, being able to pulling up hashtags as a separate search outside of regular G+ keyword searches seems like a more appropriate step. Moving forward, it will be interesting to see what other sorts of iterations Google+ will add searches. Searches by location, for example, could very well be on the horizon, and it appears that Google+ is already one step ahead of its asymmetrical counterpart, Twitter. You tell me: Should Google+ better refine current hashtag searches and separate these from normal keyword search? Or is the service fine as is? Weigh in below. 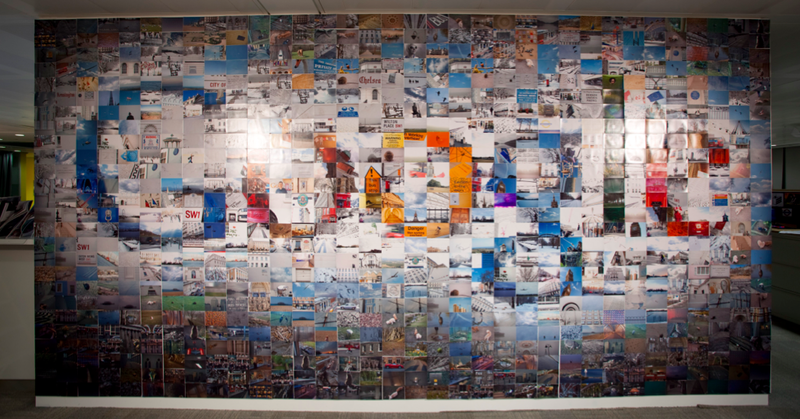 Catch up with all the latest Google news at TNW Google.